It's also cheaper than you might think. Prices range from $200 to $400 depending on dumpster size chosen, and your location. Check out our pricing page to see more about pricing. 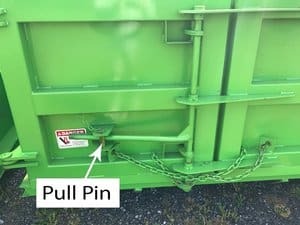 If you've never rented a dumpster before, you might be unsure how the process works. The truth is, the process is really simple, and any size project can benefit from using a dumpster rental service. 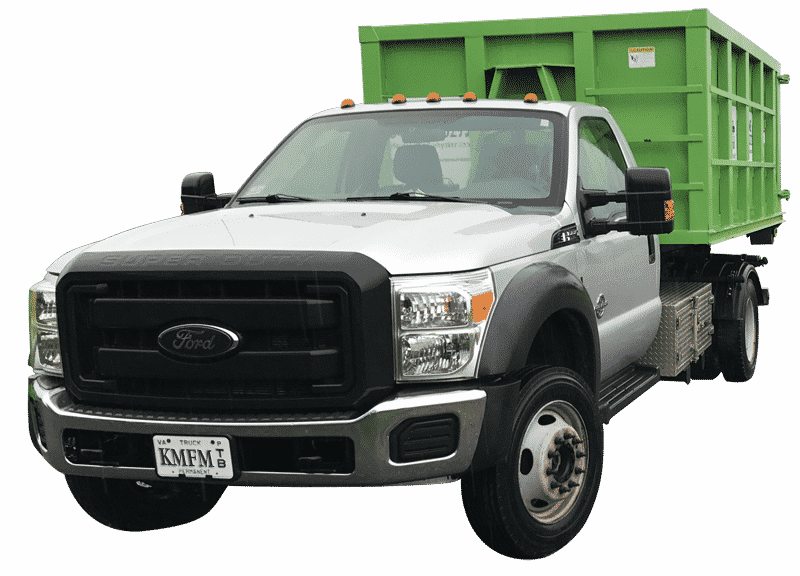 We offer additional services with our dumpster rental, like scrap metal collection, and material hauling. 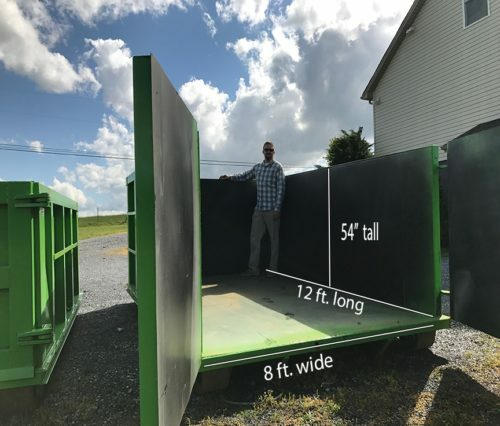 Check out the step-by-step tips below, and also take a look at our dumpster dimensions. 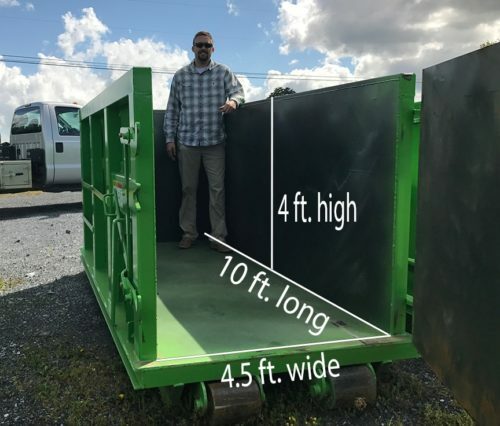 This information will help you choose a dumpster size matched to your project size. If you need help, contact us and we'll be glad to assist you! 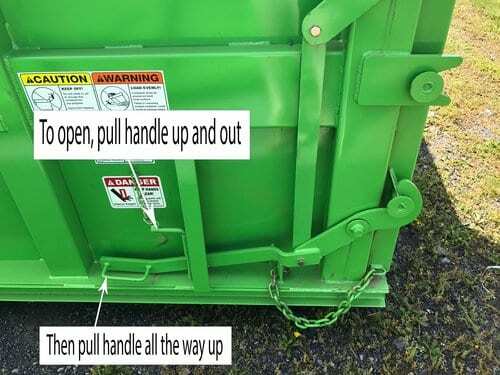 If you're a first time dumpster renter, you might also find our Dumpster Rental Guide helpful. 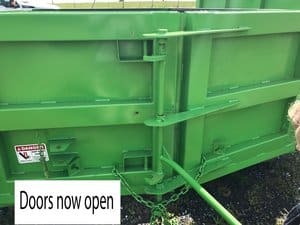 Our dumpsters are purpose built to fit your needs no matter the size of your project. (2-3 truck loads) Our 6 yard dumpsters have a tiny footprint. Great for heavy items like concrete, brick & plaster. (5-6 truck loads) 12 cubic yards of junk eating dumpster with a driveway footprint smaller than a Prius! Perfect for household trash. ( 7-9 truck loads) This beast can swallow a 10'x30' deck, and won't block your entire driveway. 3 day rentals are ideal for contractors and DIYers taking on complicated projects. 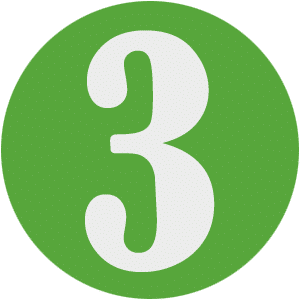 We give you 3 days FREE. 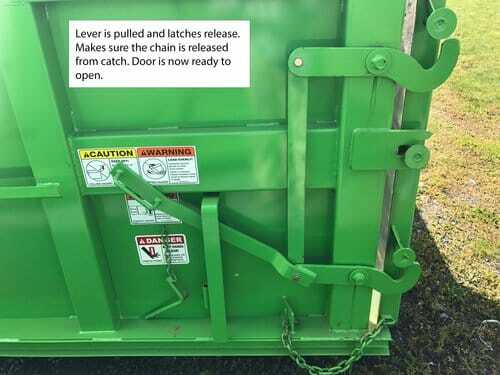 We will pick up the dumpster whenever you request. 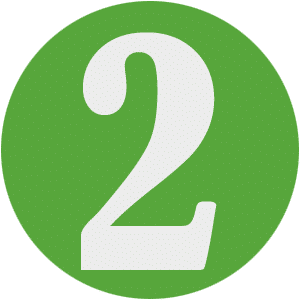 You can keep it for 1 day, 2 days, however long, but 3 days are included in the price. 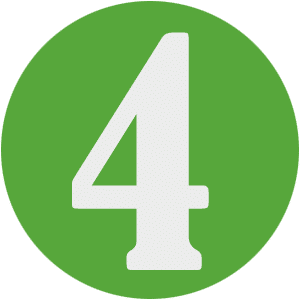 If additional days are required, we will bill weekly- $10 a day starting the 4th day. Each time the dumpster is swapped out, the daily rental clock starts back to zero, and you get another 3 days of free rental. We do not count the day of drop-off, or the day of pick-up. A cubic yard is a measurement of volume. It is equal to an amount of space equivalent to 3 feet tall, 3 feet deep, and 3 feet wide. 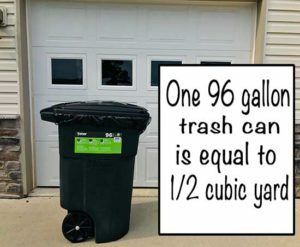 A 96 gallon trash can makes up about a 1/2 of a cubic yard. 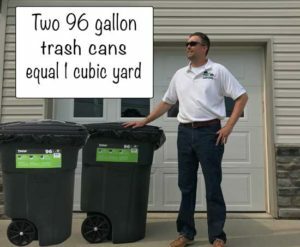 It takes TWO 96 gallon trash cans to be equivalent to 1 cubic yard of volume. Appliances & Scrap Metal- Large amounts of appliances and/or scrap metal should be added to separate dumpster. One or two appliances should be placed on top of refuse pile. Tires- Will be charged a small disposal fee as this is a value-added service. 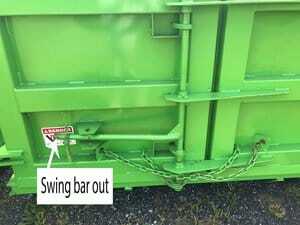 Renting a happy little dumpster is an easy process. Follow the 4 steps below, and get rid of that junk! 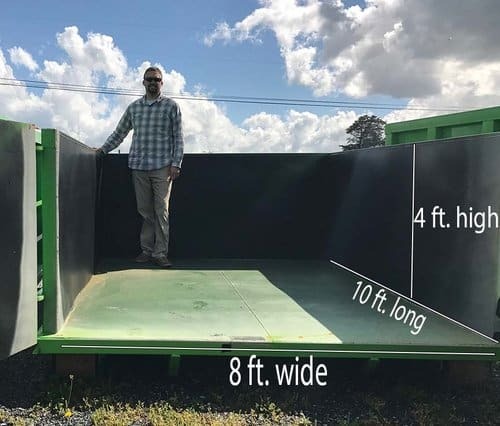 Choose a dumpster size that fits your project needs. Pick a delivery time that works with your schedule. 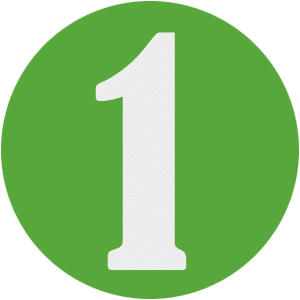 Our normal rental rates include 3 days. We'll show up on the scheduled date to pick up the dumpster.